Crete has become the reentry and recovery destination for Russian cosmonauts. When Russian cosmonauts Alexey Ovchinin and Oleg Skripochka attended a Heraklion, Crete ceremony to honor Yuri Gagarin this month, just about every media outlet in Greece covered the story. The news the unveiling of a Gagarin bust celebrating the Year of Russia-Greece, also made news in Russia too. Here is the latest on a fascinating Roscosmos meets tourism mission to fabulous Crete. Back in July I covered the story of ISS Cosmonaut Yuri Malenchenko’s mission objective to re-assimilate and re-enter Earth life at resorts and amid the kindness and gentleness of incredible Crete. Today two more space station crewmembers have completed two weeks R & R at first Anemos Grand Luxury Report, and then the magnificent Aldemar Royal Mare, one of the world's finest Thalassotherapy destinations. 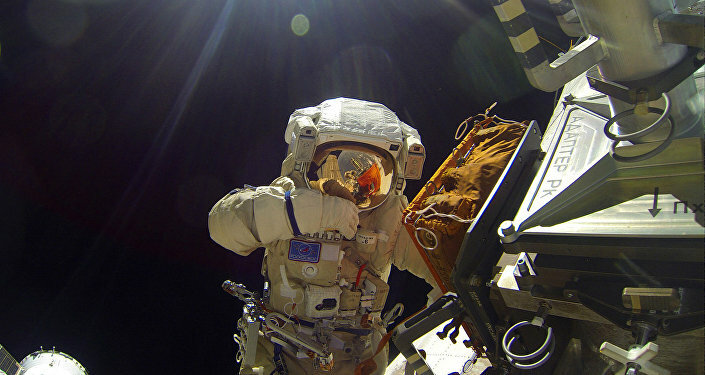 According to the organizers, and media reports, Crete was chosen for this ongoing Roscosmos program based on previous successes with the program created by veteran cosmonaut medic, Mikhail Potapov, who along with Greek entrepreneur and Russian correspondent, Thanassis Avgerinos, organized the initial visit by cosmonaut Fyodor Yurchikhin. The latest version of this intensive program of physical recuperation follows Ovchinin’s and Skripochka’s return from the ISS after 172 days in space. The cosmonauts stayed in the Northwest of Crete at Anemos Resort, where they were welcomed by Crete’s Stavros Arnaoutakis, and from whence they dedicated the Gagarin statue in Heraklion. After visiting local villages and partaking of Crete’s notorious hospitality and climate for ten days, the ISS crewmen traveled East to the Aldemar Thalasso Resort in Hersonissos. The resort, a luxurious home-away for the spacemen, is renowned for the unique sea water (Thalassotherapy) treatments it offers guests. According to one of the organizers, Eyewide Digital’s Minas E. Liapakis, the key goals of acclimatization and physical rehabilitation at Aldemar are to be integrated into a broader plan. According to Liapakis, the recuperative experience on Crete is unique because of the remarkable “village life” facet. Based on what we have experienced in our travels to Crete, the island’s pristine beaches and glorious environment only garnish a greater value there. 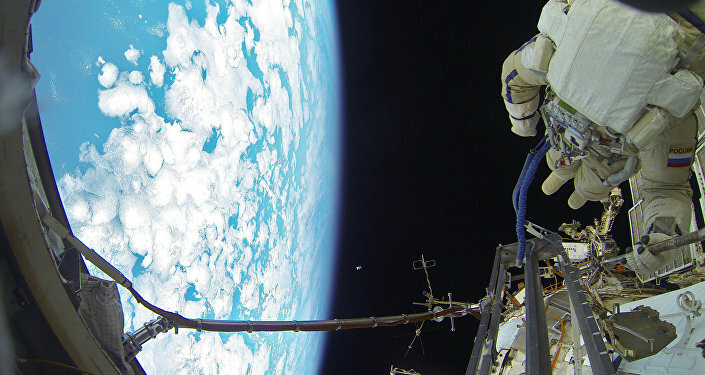 Once again the term “filoxenia” is at the forefront of this Cosmonaut travel story. For those unfamiliar, the term is an ancient one, meaning “the love of strangers” loosely. Historically, the rituals of Cretan hospitality are best expressed in the reciprocity of guest and host, which are in turn reciprocal in their benefits. The term probably originated with the Greek god Zeus, often referred to as Zeus Xenios in his role as a protector of travelers. This brings me to another point to be made about Crete and this Roscosmos program. The religious obligation inherent in ancient hospitality seems alive and well on Crete now. A visit by the two cosmonauts to a nearby monastery, and an Orthodox ceremony at the monastery of Agarathos with Archbishop Eirinaios Athanasiadis, adds, even more, color to this story. to be hospitable to travelers. For me the entire connective of this story could not have been complete without a Russia-Greece religious tie. While at Aldemar, the two Cosmonauts partook of local feasts, saw how Raki is made, visited museums, SCUBA dived off the coast and even visited a local high school for a Q & A with students there. While this story might seem like just another celebrity travel piece, I assure you the truth is far more fascinating. Crete is one of those special places where a cosmonaut or movie star, is treated with no more love or attention than the fun loving family or Spring Break beachcomber. The place is just that friendly, and I am sure all three cosmonaut visits have now cemented this in at least some Russian minds. Angelopoulos went on in our discussion about Thalassotherapy, and the role this natural treatment has in Aldemar programs, as well as the role Cretan nutrition and the island’s climate play for balancing out stress. All things considered, by the time I factor in what I’ve experienced personally, and what we have learned throughout this cosmonaut story, it is difficult to imagine a complete therapy. At the end of the day, Ovchinin and Skripochka are sojourners and adventurers that provide a rare connective in between two societies. I cannot over express the importance of Crete presenting fellowship, friendship, and a tribute to Russia-Greece 2016, and in celebration of Yuri Gagarin’s special place in the human epoch. Maybe the reader can best grasp this, by dramatizing in the mind’s eye what it means to return to Earth, to be welcomed home to an ancient and unchanging land like Crete. The place really is a religious experience.